I think one of the best ways to communicate to parents about what is going on in the classroom weekly is by putting together a newsletter. The newsletter can consist of any information you want to include. Some ideas are, good websites, reading tips, what the kids have done during the week, upcoming events, school event information, pictures, kudos, and reminders. Depending on the age of your students, you can get the kids to put the newsletter together. You can group kids by section of the newsletter, and have them produce a few. Rotate the groups so that the kids have had a chance to produce each section of the newsletter. 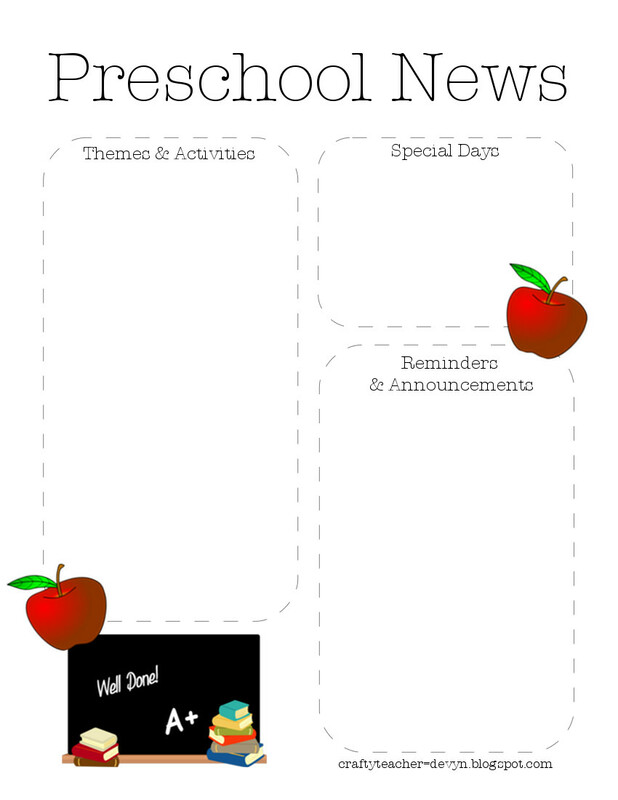 This will really help students take pride in the newsletter, and make sure that their parents read it! Even at a young age, you can have the students brainstorm about what they want you to write in the newsletter during a morning meeting. You can have them help you make decisions about which pictures to put in for the week, etc. Let them help, especially since the information is about them! Your Newsletter can be very simple to complex, whatever you want. Here are a few free templates I’ve found. Enjoy. 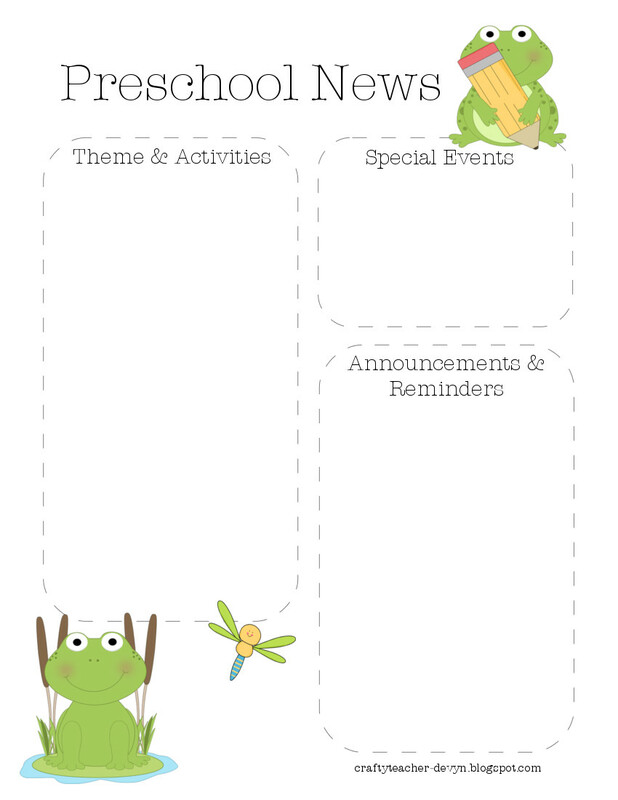 This is from the Crafty Teacher – This templates can be found here and here.